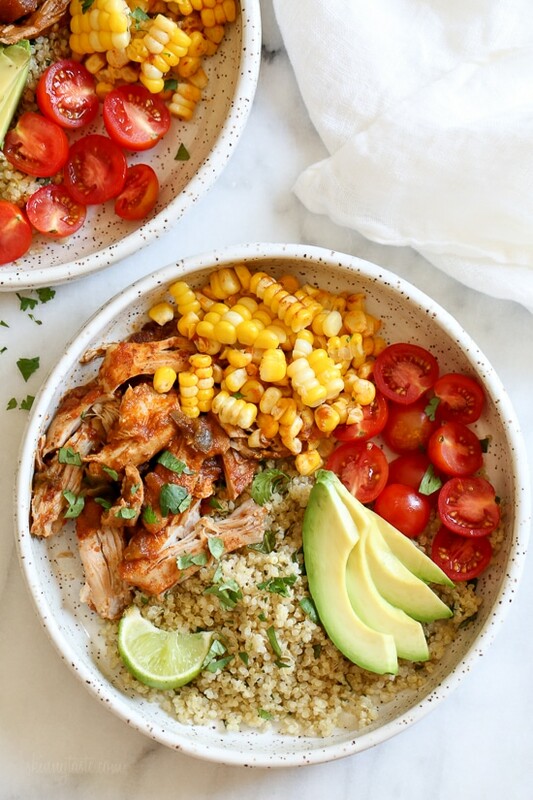 These Chipotle Chicken Bowls with Cilantro Lime Quinoa are so easy to make and have tons of flavor! I like to make them with chicken thighs but if you prefer white meat, chicken breast would work too. Extra limes for squeezing on top are recommended! This is a great dish for meal prep if you like to make meals ahead for the week. Make it on the weekend or your day off and pack them ready in containers. I recently purchased these glass meal prep containers (affil link) by Prep Naturals which I am loving. If you don’t have an Instant Pot, this (affil link) is the one I have, but you can make this in a slow cooker on low 4 to 6 hours. My best advice is double the chicken recipe (same cook time) and use it the next day for tacos or taco salads, the chicken is so good! If your family doesn’t like spicy foods, you can leave the chipotle out. I have lots of Instant Pot recipes, click here to see the others! You can use frozen corn in place of fresh if it’s off season. If making this for meal prep for the week, slice the avocados as you need them to avoid browning. And/or squeeze of lime on top. Sub chipotle in adobo sauce instead of chipotle paste if people can’t find the paste. In a medium bowl combine the salt, cumin black pepper, chipotle, and salsa. 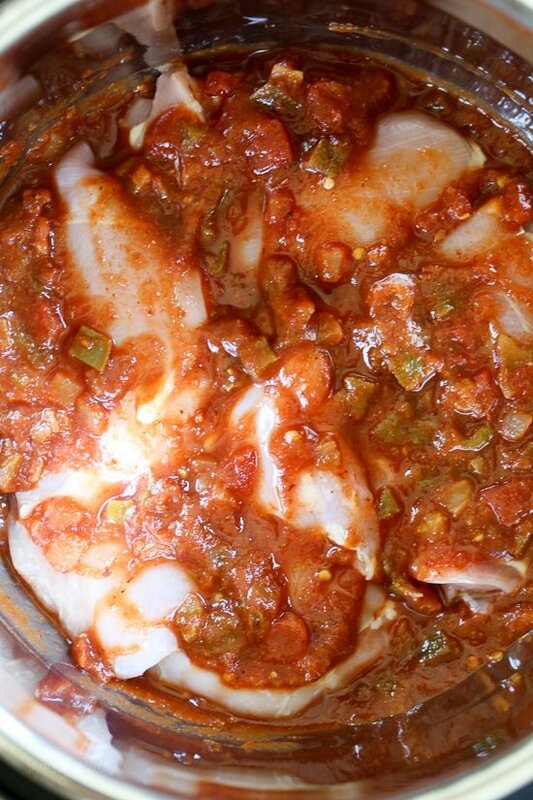 Place the chicken in the pressure cooker and pour the salsa over chicken. Cook on high pressure 20 minutes. Quick or natural release, add the corn and cook high pressure 2 minutes. Meanwhile, add the quinoa, water and salt to a saucepan and cook over high heat, bring it to a boil. Once boiling, reduce the heat to low and cover the pot. Cook for about 18 to 22 minutes, or until all the liquid is absorbed. Fluff with a fork and remove from heat. Stir in the lime juice, olive oil, and 1/4 cup cilantro. 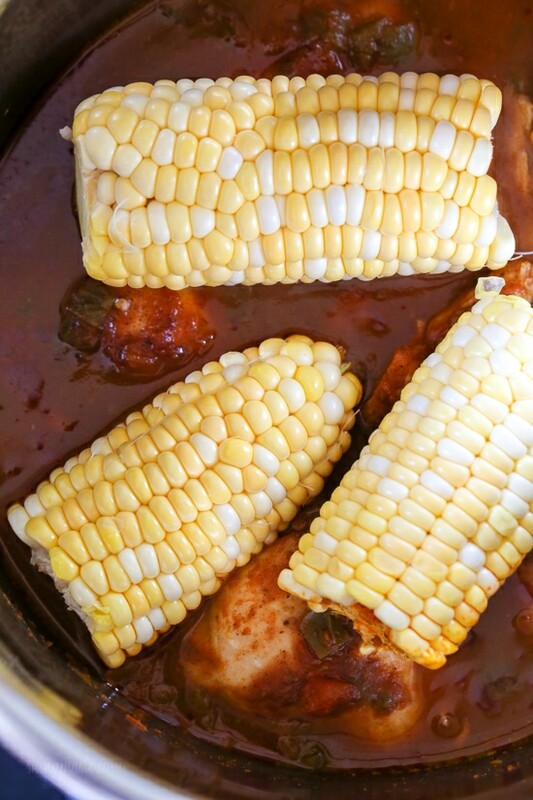 When chicken is cooked, remove corn and set aside on a dish. Remove the chicken and place in a bowl, shred and add 1/2 cup of the sauce. Using a knife cut the corn off the husk. Place 2/3 cup quinoa in each bowl, with 1/2 cup shredded chicken topped with more sauce, 1/3 cup corn, 1/4 cup tomatoes and 1 ounce avocado. 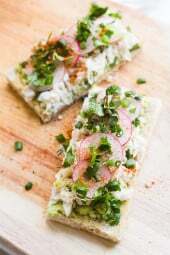 Top with remaining cilantro and serve with lime wedges. Do you really need to cook the chicken for 20 minutes? Other times I’ve cooked chicken (breast anyway) in the instant pot it only called for 10 minutes or less cooking time. Thoughts? This was amazing! I had no idea what chipotle paste was but I used chipotle in adobo sauce. I used a tablespoon of the sauce and I mashed up a pepper and added it in. So good. This is definitely a keeper! This recipe is one of my all time favorites! The chicken is AMAZING. I will use the leftovers for tacos, bowls, quesadillas or just on its own. Spicy, tender, flavorful. I couldn’t find chipotle paste so I used the chipotles peppers in adobe sauce. I just dumped the whole can in my slow cooker (about 2.5 hours on high) with the other recommended ingredients. When the chicken was done, I removed the chipotles peppers (but I think they gave a ton of flavor) and shredded the chicken. Yum! Is there a way to make the quinoa in the instant pot at the same time??? Can I substitute other veggies for the corn? Made this last night as part of my weekly lunch meal prep. It was super easy to make and delicious for lunch today (eaten cold). I used couscous because I prefer it to quinoa and substituted sriracha for the chili paste. Definitely keeping this one in my regular rotation. This is my favorite recipe. I always make a double batch so we can have it for dinner and I can take it in my lunch for the week. Very good! I doubled up on the cumin though. This is amazing!! My kids loved it!! I just made this tonight. I did some alterations since I don’t have an Instant Pot. I browned the chicken in some olive oil, then added some chicken stock to make a braising liquid to the salsa mixture. I then added the corn in with the chicken to finish cooking on the stove. Ended taking about the same amount of time as the Instant Pot. Turned out delicious. I made this tonight, it was perfect!! I was really nervous about just putting the salsa in without liquid, so I put 3/4 of a cup of chicken broth as well as the salsa mixture and it was more than enough. I think just adding the salsa would have been fine, but this wash second instant pot recipe so I was being cautious. I added frozen corn when the recipe said and it was crisp and delicious. The corn is exactly what this dish needed, that bit of sweetness. My husband and I loved it, this is definitely going to be in our standard rotation of recipes! Thank you!! My husband moaned during the entire meal… that was the best thing I’ve made in a very long time. Even my 6 year old LOVED it! This is SO GOOD. It completely hit the spot and I have yet to have a skinnytaste recipe that wasn’t amazing. Thanks! loved this recipe. it has great flavor and its easy to deconstruct for kids. I love using my instant pot too. i only wish i had cooked up a batch of quiona ahead of time, because i like it better in the instant pot. We like things a little spicier, so we used a medium salsa. Great as leftovers. This is so absolutely delicious. Since learning the recipe we have made it almost every week.Note, I couldn’t find Chipotle paste, so instead I got canned Chipotle peppers in adobo sauce and chopped them up very finely. Thanks for the recipe! If I double the recipe, what changes are necessar? First ever attempt at our new cooker- and it was amazing! Daughter and husband asked for regular rotation on our menu! If I quadruple the recipe – how long do I cook it for in instapot? Granted making sure I do not overfill – doesn’t adding more actually increase pressure? I doubled the recipe and left the cooking time the same, it turned out great. I would leave it the same. Made this last night and it was a big hit,! I thought the lime in the quinoa was a bit too much until we ate it with the chicken and all the fixings. Wonderful! I made this for the first time and it was a huge hit! I had enough for three dinners and two leftovers (I used a pound of boneless, skinless chicken breasts). I can’t believe how much flavor it had! Definitely making this again. Can you make this with the 8 Qt Duo? I plan on trying this for my first time using the instant pot. Can’t wait to try it. Seriously everyone LOVED it. My daughter hates beans and halfway through noticed there were beans in there… “MOM why didn’t you tell me there were beans in here? !” She shrugged when I told her because I knew she wouldn’t have been open minded about it….and continued to demolish her bowl. Amazing. Can I substitute quinoa with brown rice? I love this! So good! I make it in the crockpot and just use a chipotle style salsa. I make them into lunches for the week and they are delicious and filling. we didn’t have Chipotle paste so I use Chipotle flavored hot sauce. And I left out the cilantro because my family doesn’t care for it. This was an absolutely delicious meal. I made it in the instant pot and it was great. So delicious!! The combination of flavors is perfect! I am not a huge fan of quinoa but it fit perfectly into this dish. Don’t be afraid to use more lime as she suggests!! Thanks to this recipe, I finally learned to cook quinoa right! At high altitude too. I used frozen corn and seared it in the pan before adding to the bowl, and used the Skinny taste restaurant salsa recipe as my mild salsa! It was wonderful, thank you. I am going to make this, but no salsa on hand, I am going to sub petite diced fire roasted tomatoes with chipotle pepper, and add some adobo sauce to see how it comes out. I also have chicken breasts to use, about 14 oz of them. To be honest I made this knowing that my family probably wouldn’t like it but it looked to me and that is all that mattered today. I was completely wrong. Everyone voted this to becoming one of our new favorites. I am a bit stunned. Thank you very much for posting this. I wasn’t able to find chipotle paste so I purchased a can of chipotle peppers and diced them up. I also used frozen corn and threw it in for about 5 minutes. It didn’t even get to pressure but did the trick. 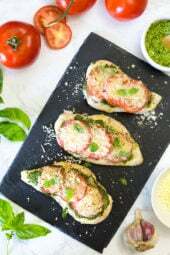 This recipe is amazing, and so easy! I added 2 TBS tomato paste to the mixture to get a richer tomato taste, and thickened the sauce with some corn starch/water using the saute setting after the chicken was removed. Then added the shredded chicken back into the sauce. So versatile! Love it!! Sooooooooo good!!!! Couldnt find chipotle paste, but found chipotle sauce so used that instead and added a little extra chipotle powder. This was unbelievably delicious! Another one of your recipes to add into my repertoire!! You’re amazing! Thank you!!! 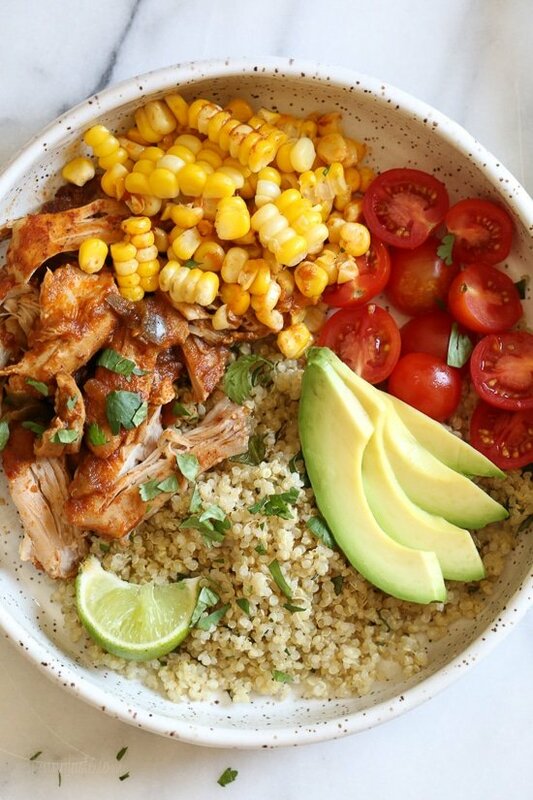 We LOVED this recipe for “Chipotle Chicken”. It was so easy to do and the flavors were fantastic. I must say that I had to use what I had in the kitchen so here are my changes:Peach/Mango Salsa from Kroger (sweet&spicy great with the chicken)Boxed quinoa – “Far East” – Mediterranean flavorI gently cooked the chicken in the salsa and spices (minus the chipotle) in bit of EVOO on the stove top in a large sauce pan – shredded it when done. 20 – 30 Minutes. The rest I followed as written. YUMMY! This was really easy and delicious! I used frozen chicken breasts and still cooked for the 20 min on high pressure, but then let it natural release for 5 min. I also used frozen corn on the cob and cooked at high pressure for 3 min with quick release. Came out perfect. If you make it in a crock pot do you put the corn in the whole time? Yum! How would I do the chicken in a croc pot? What size pot do you use? 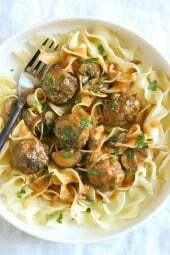 This looks delicious-how would I make this in the crock pot? Add does the quinoa cook in the crock pot as well? Can the chicken be frozen? How do you make it in a crock pot? My question too. New to instant pot!! The salsa is wet enough and provides enough moisture for the instant pot. I have to chime in. I think it may depend on which model instant pot you are using. If using a DUO or previous model, I don’t doubt it will work. BUT I would never attempt this in a newer model (ULTRA) because of the newer sensors in the heating element. With an instant pot you only need a small amount of liquid (about 1 cup), the liquid does not evaporate like other methods, in fact the food under pressure will produce liquid. Many times I find I have put too much liquid and my dish becomes soupy, so I have to cook it down with the lid off which can over cook the food. The Art of pressure cooking is putting the right amount of liquid to food and having it turn out perfectly! I am learning and I love the idea of cooking quickly with simple ingredients and having left overs! Also my kitchen does not get hot so instant pot cooking works well in the summer time. This was delicious and easy. I have been making Skinnytaste and sharing all the good news with everyone through my Facebook, etc. Everyone in my family loves all your recipes. The way they describe it all is “savory” and they are absolutely right. This is a great easy recipe. How would you edit the recipe for frozen chicken thighs? Thank you!! I always use thawed. My guess is add an hour or two? What would the freestyle points be if I subbed cauliflower rice for quinoa? Can you do this on stovetop? I don’t have instantpot or slowcooker. Made this last night and it was amazing!!!! If we sub cauliflower rice for quinoa, what would the freestyle point value be? Made this for the second time and WOW!! My 4 year old had an entire serving AND requested both the chicken and quinoa for lunch tomorrow!!! I made exactly as recommended but with 2 large chicken breasts and I guess it wasn’t too spicy for his palate. Too bad for me though…lunch leftovers are only enough for Daddy and Nico. Did you change the cooking time for breasts? Out of season I use the frozen corn on the cob. Cook it on the bbq even though it’s snowing ???? and it’s always turned out perfect. Amazing good! I used chicken thighs and breasts because my family likes both. Great sauce that I saved to add to a soup later. Thank you! Oh my goodness!!! This was the bomb! I’m an instant pot newbie and this was the second recipe I tried! I’m in love! My kids didn’t eat it because it’s too spicy, which is translation for “I’m cranky and ready for bed”. I’ll be putting this in our regular rotation! if i’m not using corn on the cob…can I add frozen corn to the instant pot & when? Sure, add it at the same time mentioned for fresh. Made this tonight – very good! Will be making again! Here are some of the things I did:- slow cooker for 4.5 hrs on low. Chicken not dry at all!- didn’t have chipotle paste, used a chipotle “flavoured” hot sauce. We like spicy food, so will prob use 2T next time- used frozen grilled corn (Trader Joes) – cheated, just thawed it in the microwave and servedVery tasty, very easy (and healthy!) dinner! Thoughts on browning the chicken first with the spice rub only? When do ou put in the corn if using frozen corn and the crockpot? Also how many points if using chicken breast instead?